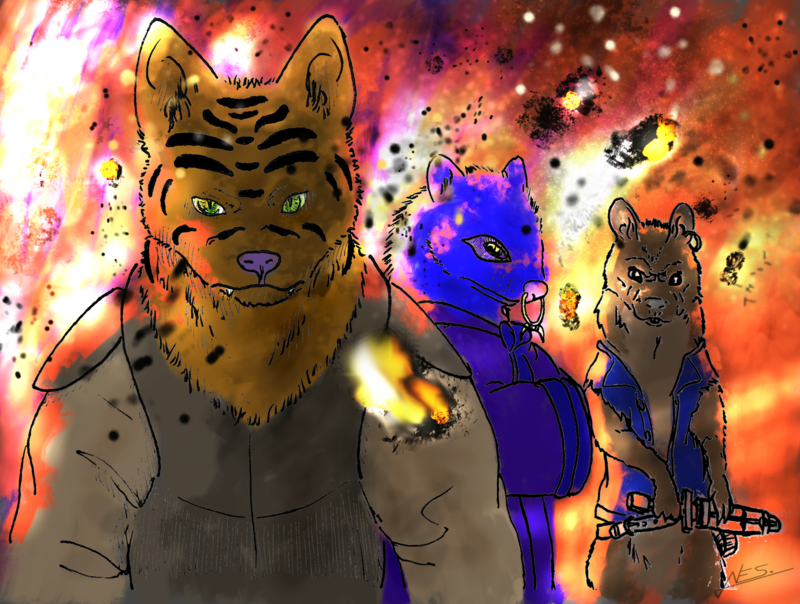 Holt5's Artwork - page 1 - traditional and digital artwork - Furtopia | Family Friendly Furry Forum and IRC Chat! Been looking around for an audience to share my work with and found this site among a few others, so here I am! I take it I have to be active for awhile before I can post images? No, you don't. Where are the images hosted? 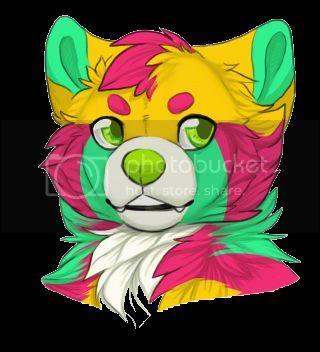 These ones are from DeviantArt, but I also have a Fur Affinity account. None of the buttons on the reply window are working either for some reason. You were trying to do a link to the whole DA page, not the image specifically. Right click the image, select "copy image link", and then post that within the [ img] tags. It is also worth noting you CANNOT currently embed images from FA. It just doesn't work. Ahhhhh, I see - thank you very much! I'd have been screwing around with this for way too long without that, ha ha. Thank you! Those are both areas I've been trying focus a bit more on lately so I'm glad it's payed off. 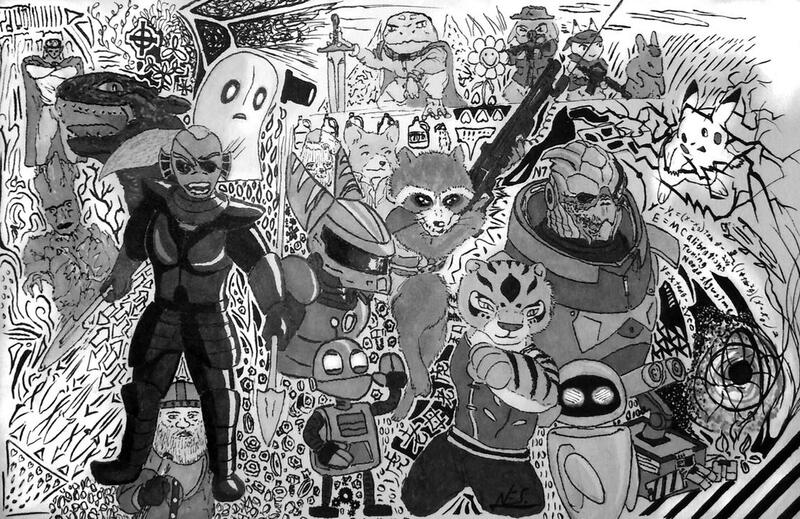 Here's a mega-doodle I finished recently. Wow, this is some pretty cool art! I don't think I'd be able to put so much onto one page, and much less have it come out looking so nice. Hey, just takes time and practice - I have shoeboxes full of old scraps and arguably terrible drawings: there aren't many good drawings out there that don't have a similar pile under them. 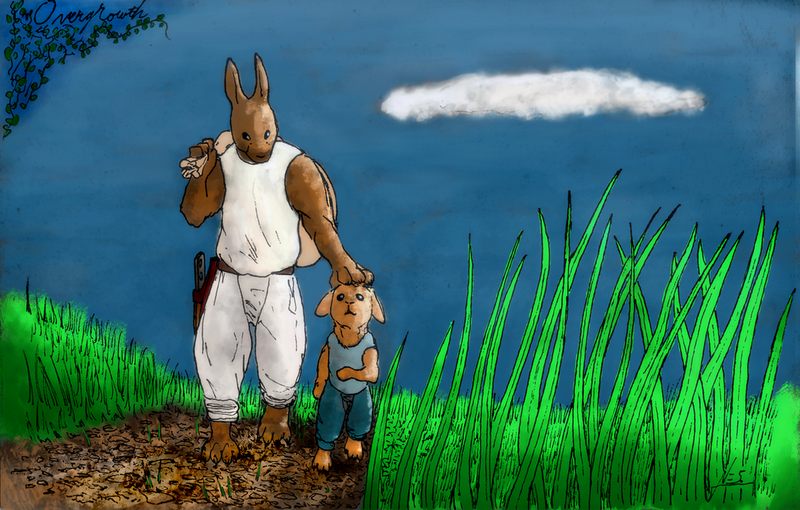 Here's the latest - a fan piece for the game Overgrowth. It's a bit detached from the game's more visceral atmosphere and thematic elements, but I assume there are peaceful points worth noting. 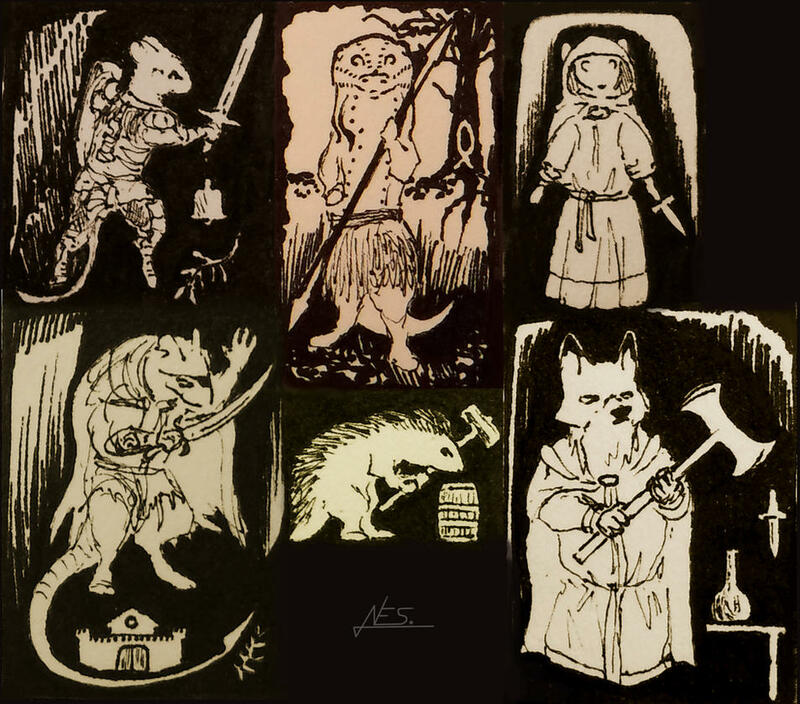 Redwall doodles drawn over a few work weeks. Started watching the TV series recently so it got me in the mood for doing some fan work. 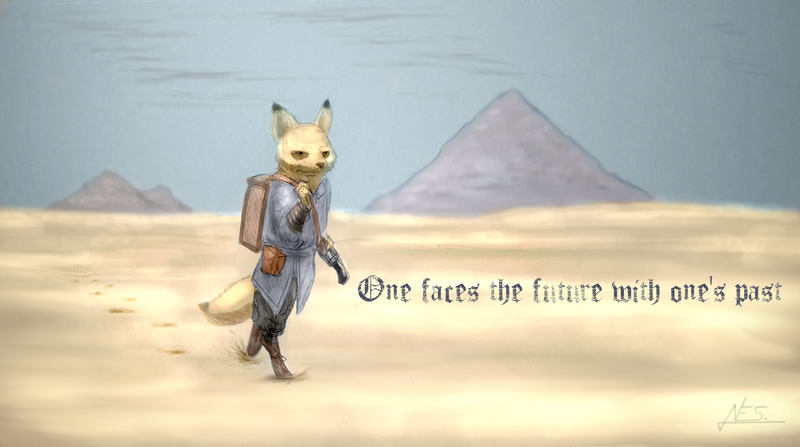 watching the animated series of Redwall myself. Much obliged! 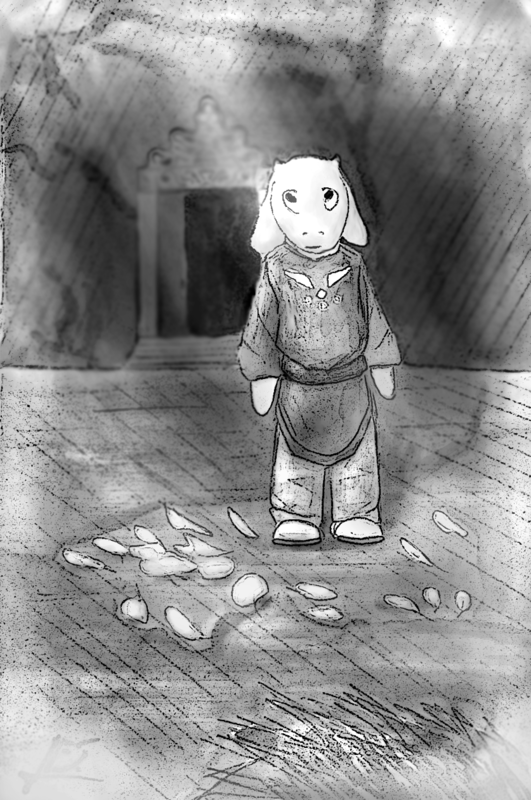 Yeah I was trying to aim for the look of the illustrations - give them kind of a rustic, old-timey vibe. I was pleasantly surprised with the TV series: I had always assumed it wouldn't hold much appeal for an older audience. Basil and all of the main villains have to be my favorite characters though - I just love the villain voice acting. 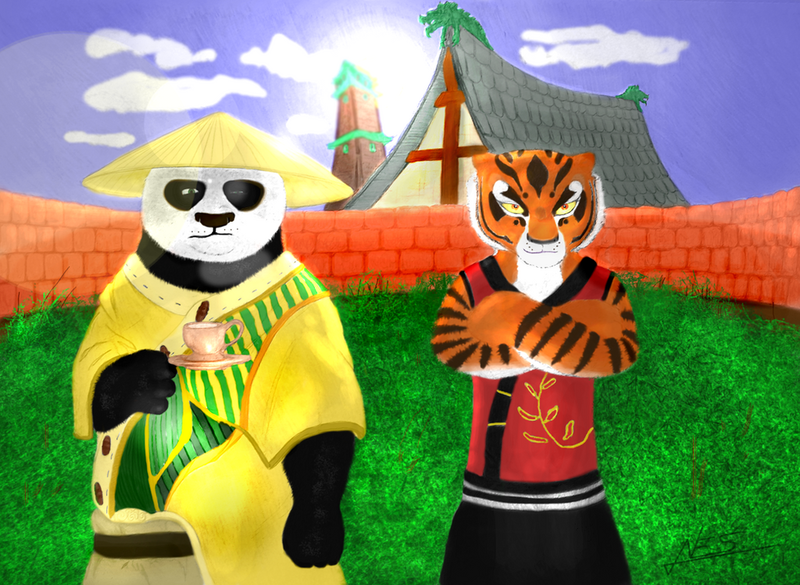 Kung Fu Panda - now in color! 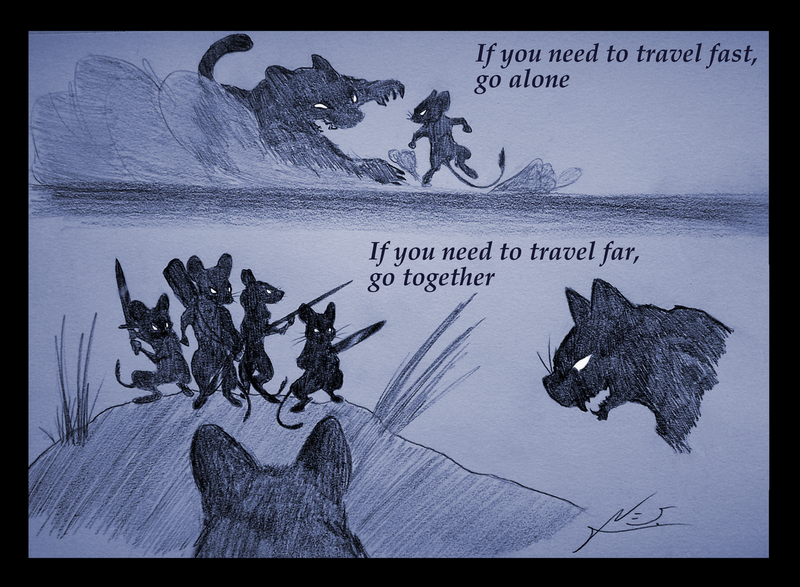 A motivational poster experiment: An old African proverb adapted to a Redwall-like setting. Your art looks really nice. I like Basil too. They did a nice job with their selection of the vocal actors. I enjoy all animation that is well done. with the Panda fighter too. Thanks everyone. 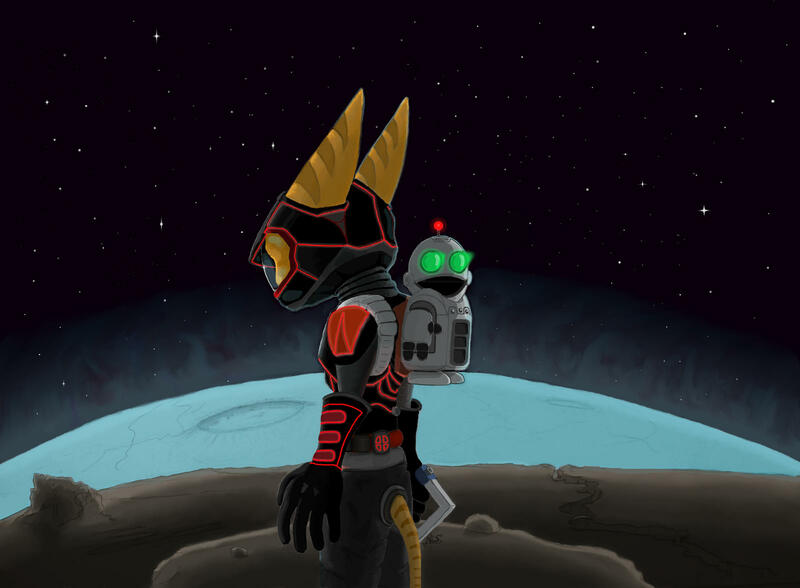 If my posts start getting boring or something feel free to write suggestions or requests: most of my art I just do for myself, but if it's entertaining to people, I'd love to be able to steer my work in that direction reasonably! Oh definitely, animated movies in general I enjoy! 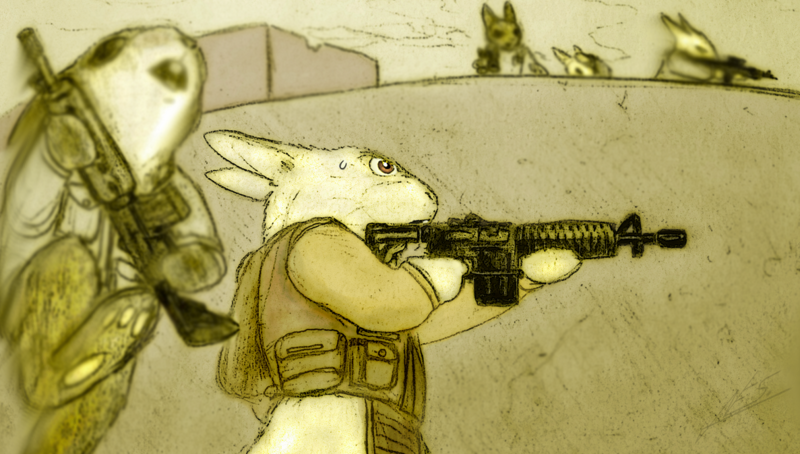 I never did watch the Watership Down series, but the movie is one of my favorites. 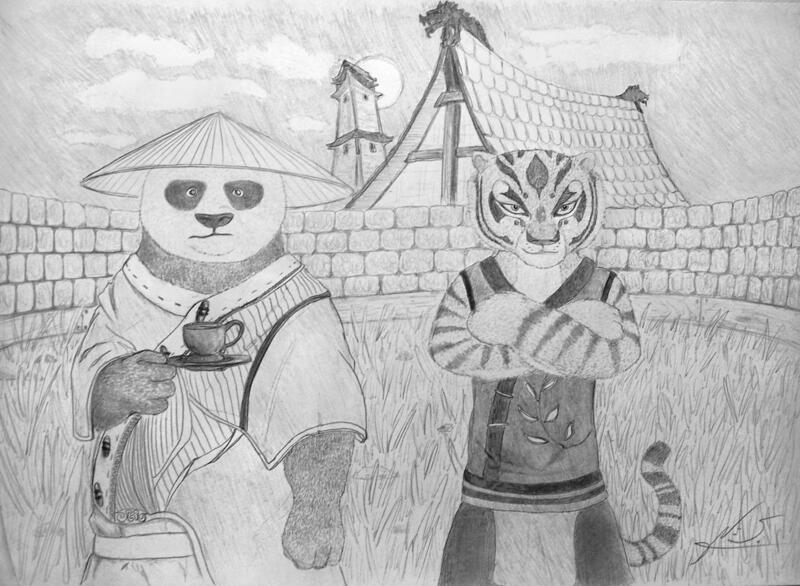 Kung Fu Panda is also one of my favorite movie franchises, along with How to Train Your Dragon, Fantastic Mr. Fox, Wall-E... Most of them are usually pretty good. 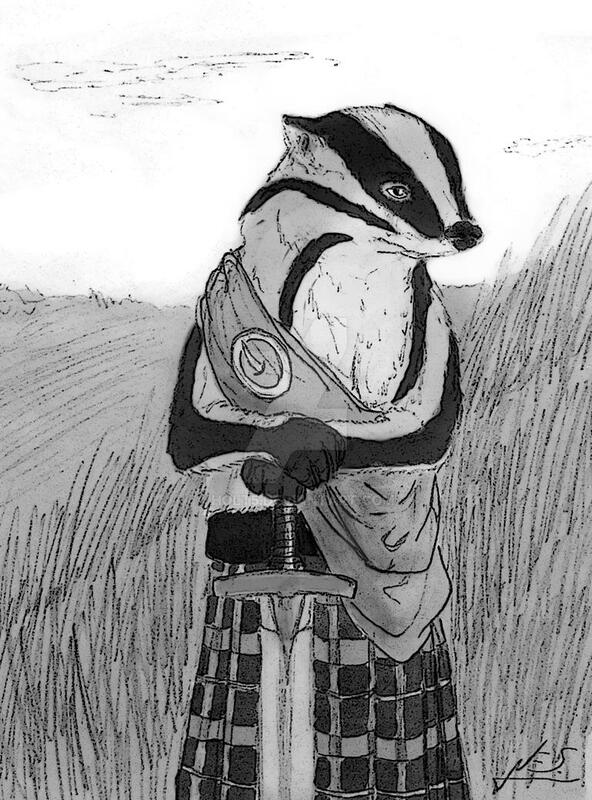 More Redwall: three villains from the book "Lord Brocktree". Ungatt Trunn, The Grand Fragorl, and Captain Ripfang respectively. It's a bit more rough-looking than I'd like, but the color scheme was a score I think. All of these are great! I really like the motivational poster. I've read through almost all of them, but only own two. Those I got from betterworldbooks.com - which usually has very good prices on used books. I've tried ebooks before but they bug my eyes too much after awhile. Thank you - glad to hear it! I actually have another one of those: I'll post it. 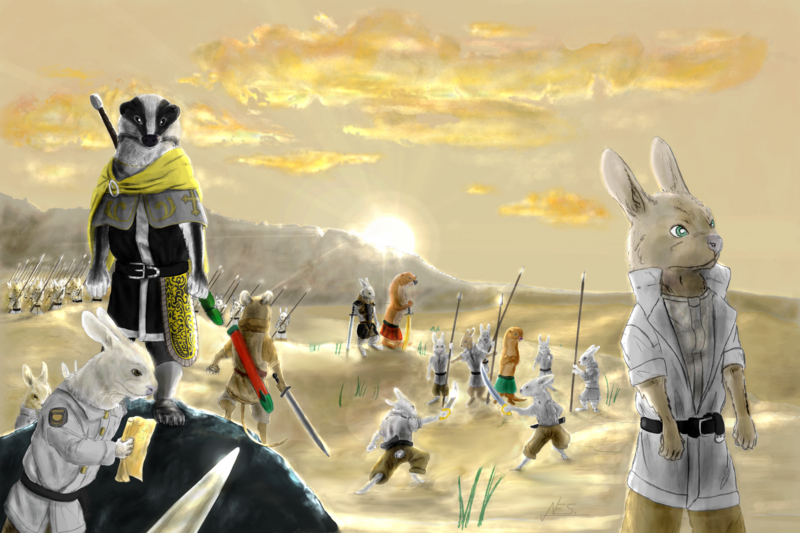 Some atmospheric concept art of a rabbit warrior.